What Kept of November Delegates Up At Night? Chief Customers Officers arguably have one of the toughest jobs in the C-Suite. They are tasked with the impossible; understand the customers - no matter how different they are, and then make them happy. They are tasked with understanding their workforce - no matter how different their responsibilities, and keeping them trained and happy. 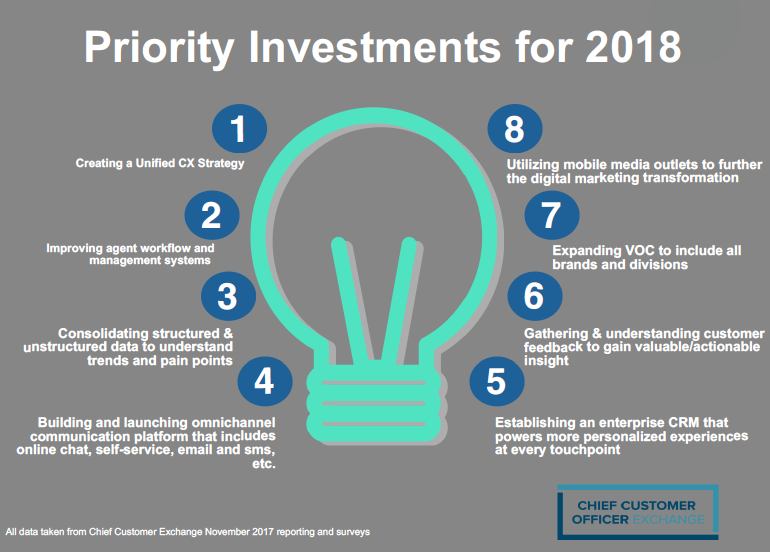 They are given mounds of data and surveys in efforts to create actionable plans for digital transformations, branding and content initiatives, self-service tools, and omnichannel capabilities continue to humanize the customer journey. The attendees that joined us this November expressed a number of challenges and opportunities they were looking to bridge in 2018. Collectively as a group, what was discovered is that the challenges in the market were very similar across industries and verticles.